Andrew Kennedy's Angling Blog at Just-Fish.co.uk - Fishing Blog Coarse Fly Lure Pike Perch: Hello blogsville! Hi, this is not a proper blog post - I intend to post one of those very soon - it's just a test to see how my profile's looking. Once properly up and running this is going to be a blog about fishing in the UK and abroad, updated whenever I've got something to say in between writing my Fishing Articles. 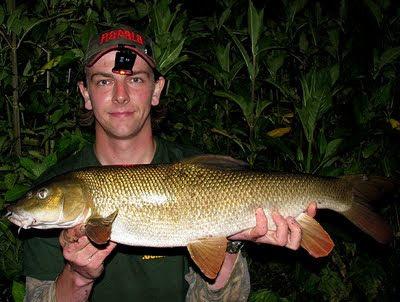 If you like to fish for specimen Barbel, Pike, Perch, Zander, Chub, Roach, Rudd, Grayling and occasionally Carp, then head over to my website to check out some of my instructional articles & videos, then check back here soon for new blog posts. Thanks for checking my stuff out!